Laid down, 13 August 1964, at Marinette Marine Corp., Marinette, WI. 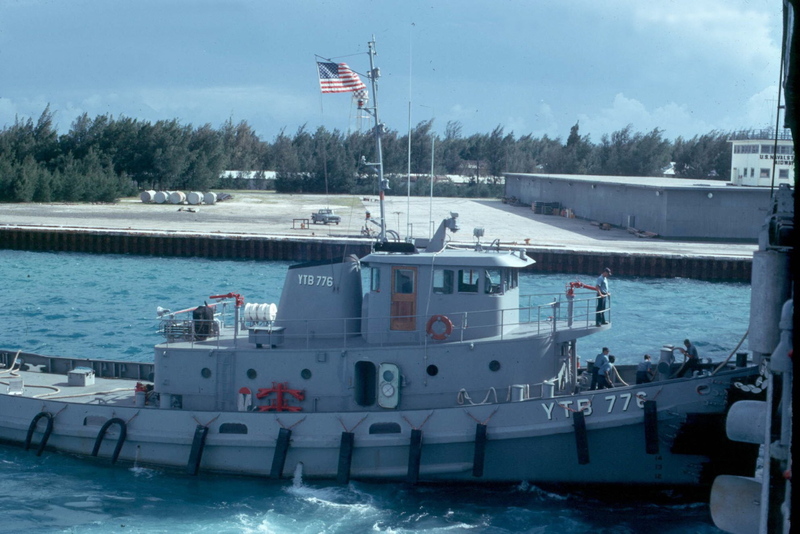 51k Weehawken (YTB-776) underway in the Great Lakes, probably during builders acceptance trials, circa 1965. 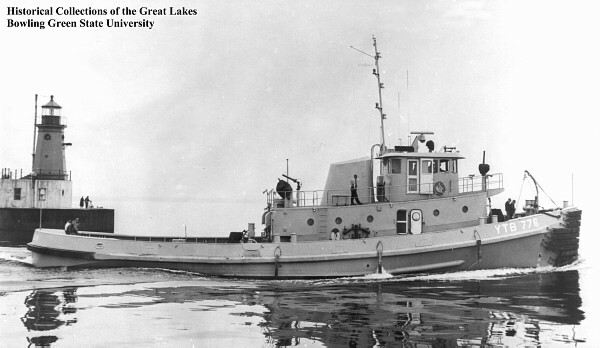 Photo from the Bowling Green University, Historical Collection of th Great Lakes. Joe Radigan MACM USN Ret. 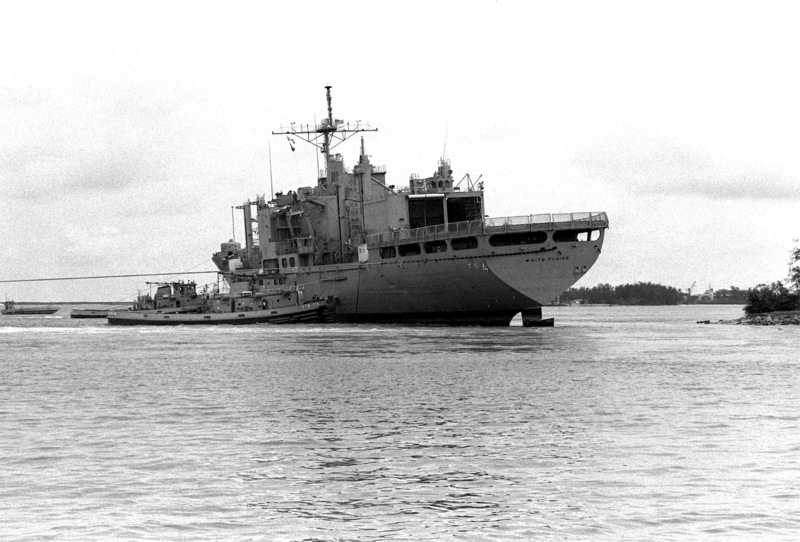 1276k Weehawken (YTB-776) foreground and another tug maneuvers the combat stores ship USS White Planes (AFS-4) back toward the water after she ran aground at Polaris Point, Apra Harbor, 30 August 1992. 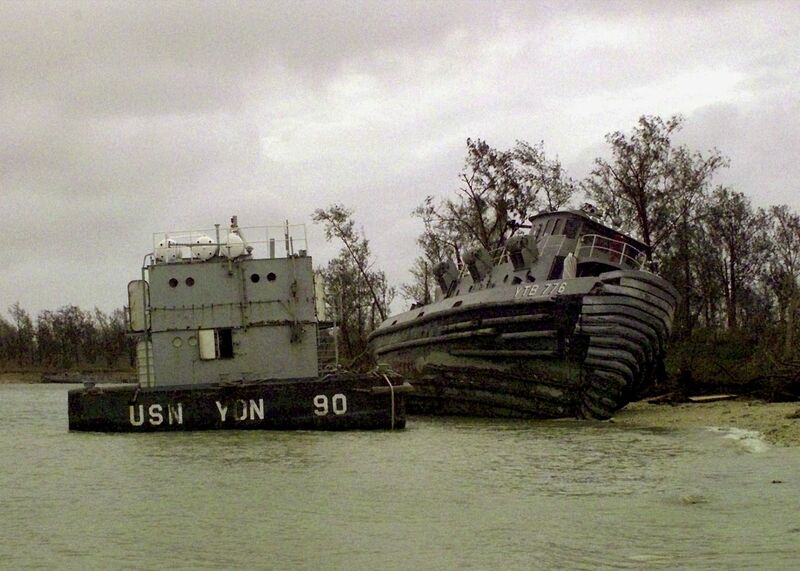 USS White Plains dragged her anchor across Apra Harbor and ran aground after heavy winds broke the vessel free from her moorings when Typhoon Omar passed through the area on August 28th.